I really enjoy restoring old photographs because as a photographer I know how important photographs are as a record of events, times and people. I will treat a damaged photograph as if it is my own. These images to me are priceless and have to be protected. However, no matter how careful we are with prints they remain very easily damaged which is why it is a good idea to make a digital copies insuring a back up always exists. Recently I completed a project to restore eighty five photographs and then to use my wedding album creation skills to turn them into an album for a birthday gift, it was a challenging project because the photographs were in poor condition and also the compositions for the most part (part from three or four really good ones taken by someone with a keen eye) where poor, but the beauty of digital imaging is that badly composed images can be cropped. In fact under the direction of my client I created a new group family photograph by compositing three photographs into one to be used as a double page spread and cropped many more to refocus the key people to the centre of the frame. For the album I used a new range of albums that I have recently started offering as a budget option, the range starts at just £29.99 for a twenty page 6x6" album which is a very good price for a very high quality album. 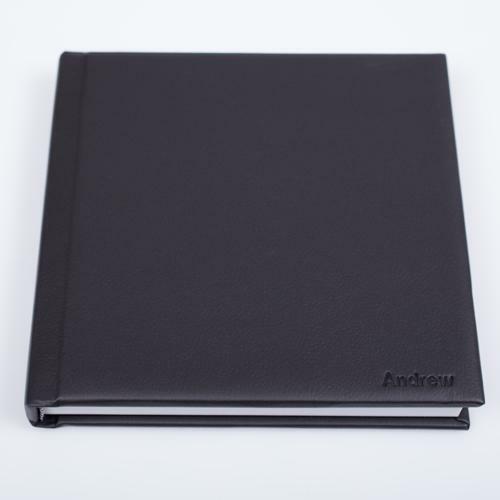 The exterior is available in a range of colours in synthetic leather material with a range paper options on the interior, delivered in a lay flat style coffee table book with debossing also available.